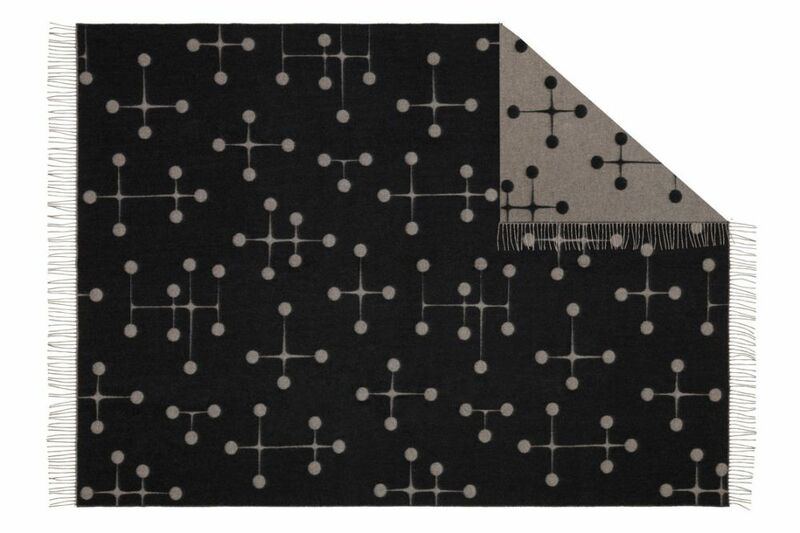 The 'Dot Pattern' featured on the Eames Wool Blanket was created in 1947 in conjunction with an exhibition at New York's Museum of Modern Art. 100% Merino lambswool, produced in a jacquard weave. The large-scale composition of crossed lines and dots is reminiscent of the abstract paintings by Ray Eames from the 1930s. Considerable technical know-how and manual skill are required to process the premium natural fibres. For this reason, Vitra blankets are made by a German blanket manufacturer with over 100 years of experience in fabricating products from natural fibres. Their expert hand craftsmanship ensures the high-quality execution of the designs.